I Need Democracy Now! Because … | Democracy Now! 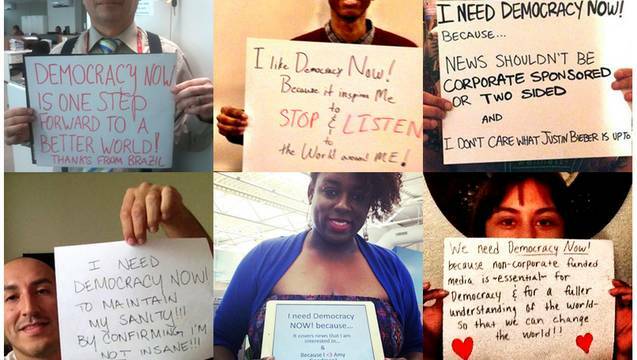 To celebrate Democracy Now!’s 18th birthday, we asked our listeners and viewers to submit a photo or video that describes why Democracy Now! is important to you. Submit a link to your own photo or video message at democracynow.org/because.